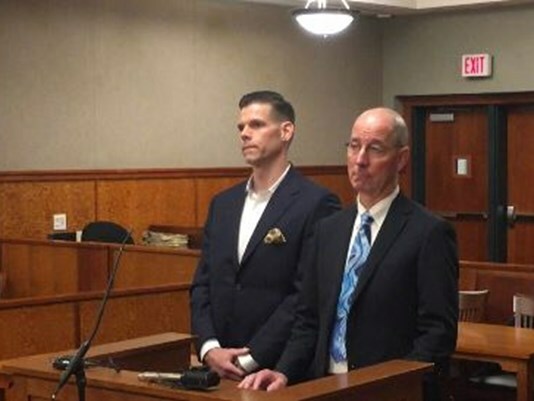 Alex Gray, a prominent promoter of concerts in Bangor and Portland, pleaded guilty Friday to domestic violence assault, but denied hitting his former girlfriend of five years during an intense argument in March. Under a plea agreement, Gray will be able to withdraw his guilty plea and prosecutors will drop the charge in a year as long as he doesn’t violate a 22-point agreement, which includes provisions that bar him from contacting Erica Cole, an ex-girlfriend. 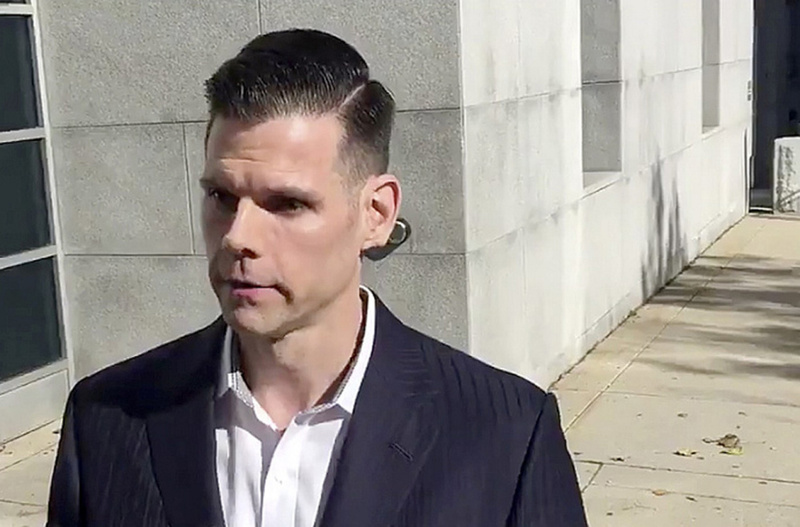 Gray had been scheduled to go on trial Monday, but his lawyer and prosecutors struck a deal on the misdemeanor charge, leading to the change-of-plea hearing Friday before Superior Court Justice Andrew Horton at the Cumberland County Courthouse. Gray runs Waterfront Concerts, which stages shows in Portland on the Maine State Pier and in Bangor at Darling’s Waterfront Pavilion. The specifics of the altercation that led to Gray’s arrest weren’t spelled out in court Friday, but Cole told police in March that she and Gray argued intermittently during a night out with friends and, after returning to Gray’s Portland condominium, he demanded to see her cellphone. Feeling threatened, she said she decided to leave and Gray demanded her keys to the condo when she said she was going to stay elsewhere that night. According to the police report, Cole said Gray then kicked her legs out from under her while the two struggled for her purse and he put a hand on her throat, using his other hand to grab the keys, and then banged her head against the floor. Cole said she felt the need to speak during the court hearing because many women in her situation are unable to. Addressing Gray, she said, “I am not a victim and I will not be victimized by you.” She told Horton she didn’t object to the plea agreement, even though she believes that Gray had dragged out the legal process in an attempt to “exhaust” her. She had been informed of the plea deal before Friday’s hearing. Gray did not look at Cole and stared impassively ahead as she spoke to the judge. When it came his time to address Horton, Gray read from a written statement in which he apologized “for what occurred” on March 12, but said his “wrong decision” was when he “recklessly entered her (Cole’s) personal space” to try to get the keys to the condo. He said he wanted the keys so he could “make a clean break” in the relationship with Cole and said he recognized that he should have just walked away instead. Gray faced up to 364 days in jail and a fine of up to $2,000 on the charge. Jonathan Sahrbeck, the Cumberland County assistant district attorney who prosecuted the case, said the sentence was not unusual. Depending on the factors of each case, he said, some domestic violence assault cases result in jail time, while others are handled as deferred dispositions, as in the Gray case. Cole declined to speak after the hearing, while Gray said afterward that the plea agreement was a “compromise” that resolved the matter. He said he may take a break from the concert industry and said he doesn’t know if the publicity over the domestic violence assault charge hurt his business, explaining that the past summer was “a down year” for the concert industry in the Northeast. His legal issues might not be over with the plea. Tim Zerillo, Cole’s lawyer, said that he and his client will now discuss the possibility of a lawsuit to seek monetary damages against Gray. Gray’s lawyer, Gerard Conley Jr., said that Cole’s lawyer had suggested a settlement of $100,000. Zerillo, who said he raised the possibility of a lawsuit in a conversation with Conley, said no specific figure was discussed. He also said that any civil settlement would not have led Cole to stop cooperating with prosecutors or seek to have criminal charges against Gray dropped. “For her, this has always been about getting a measure of justice,” he said. Zerillo also criticized Gray’s denial of assault during the argument with Cole. “As far as I’m concerned, the court heard him say he was guilty and the court found a basis to accept that guilty plea,” he said.